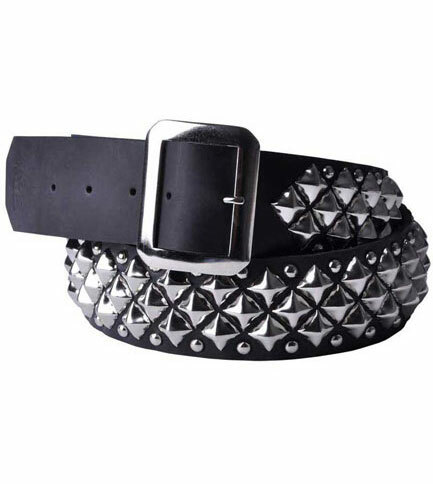 Leather belt with 3 row angled pyramids and spot studs. 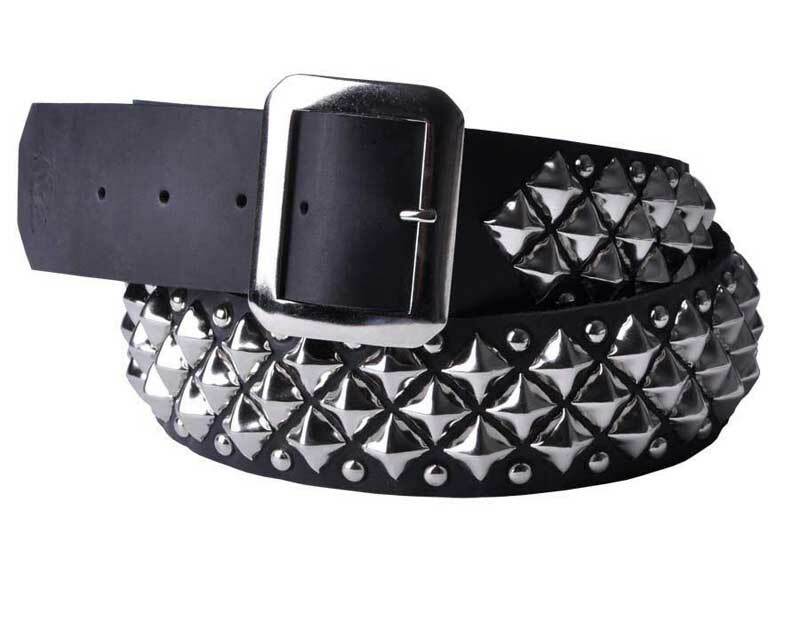 Comes with a removable buckle so you can change it out with another buckle if you like. Made in the USA.